It’s been a hot summer in Philadelphia so far this year. I started wondering in the global warming has anything to do with our recent spate of 90+ days. First, lets look at the global warming situation. NASA has announced that July, 2016 is the warmest month on record (here, here). 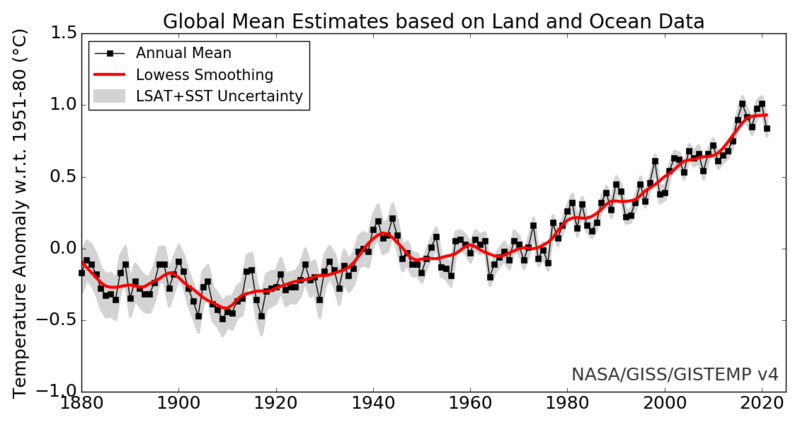 We are well on our way to the 3rd year of record breaking global temperatures. Is there a connection between global temperature increases and our 90+ summer? To find out, I first downloaded temperature data from the Weather Underground for Philadelphia’s NE Airport. I then plotted the daily maximum and minimum temperatures for the summer months of May through yesterday. On first glance at the chart, I was sure that I found proof that our 33 90+ days was proof that global warming has hit Philadelphia. As I dug deeper I found that the number of 90+ days varies from a low of 6 in 1978, to 41 in 2010 and a high of 43 in 1988. 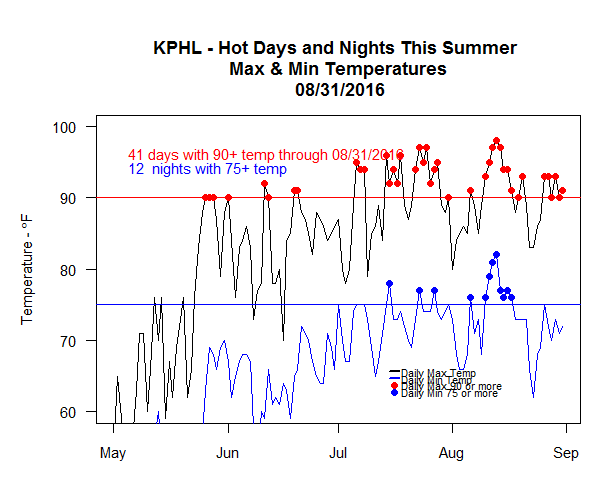 We are in the high end of the 6 – 43 day ranges of 90+ temperatures range of the number of 90+ days we have had in the 1975 – 2015 period. We need to dig deeper to find links between the number of Philadelphia’s dog days of summer and global warming. I’ll be writing on this more in the comming months.